Background: As part of the Religion, Conflict, and Peacebuilding Fellowship, Christopher O'Connor interviewed Josiah Fearon, Anglican bishop of Kaduna, Nigeria. In this interview he talks about his work with Christians and Muslims to promote tolerance and peace (despite fierce opposition from extremists on both fronts), including offering workshops and lectures aimed at highlighting points of common interest and dispelling mutual suspicions and hostilities. How did you get involved in peacebuilding work in Kaduna state, in trying to promote interreligious dialogue between Christians and Muslims? As an undergraduate I read theology at St. John’s College, Durham University in the United Kingdom. During this time I became interested in early heresy in the Christian church. As I studied, I began to realize that the understanding of Jesus Christ in some of these instances, such as the Nestorian interpretation, was very similar to the Islamic understanding of Jesus presented in the Qur'an. The Islamic interpretation of Jesus and Christianity is not far off the former beliefs of past Christians. After finishing my first degree, I went on to complete my master’s [degree] in Islamic theology at the University of Birmingham, where I started looking at Islamic interpretation of Christianity, at how Christians are viewed as people of the book in Muslim society. I wrote a graduate paper on the dhimmi, the status of the non-Muslim in an Islamic state. This paper convinced me of the need for education in northern Nigeria, and this sparked my interest in educating Nigerian Christians and Muslims on the need for understanding. I gave a presentation on these issues, and I have continued to present this discussion throughout my career. Through my education, I realized that the Lord was calling me to build bridges of understanding between Christians and Muslims. A Muslim is not someone to hate, but rather someone to love. A Muslim is not someone I should hate, but a potential believer in Jesus, just from a different perspective. I developed a passion for educating my Christian colleagues about Islam and who Muslims are. We need to promote understanding, and with understanding and grace, we should be able to live together in peace. As an Anglican clergy member in Nigeria, what are you doing to promote peace and tolerance in Kaduna state, and throughout Nigeria? The Anglican position on Christian-Muslim relations is based on "Generous Love," a booklet that states clearly our theological rationale on relating to our Muslim neighbors. The Anglican Church has a ministry of hospitality and a ministry of sharing. We must see where we can relate to others. The Anglican Church however, is not as structured as the Catholic Church. Unfortunately, some Anglican leaders do not embrace the official positions of the church, making dumb comments such as “Muslims do not have a monopoly on violence.” Despite this ignorance, I do not believe in quarreling with Christians or Muslims. The Qur'an does not consider us to be infidels. I am personally primarily concerned with conflict prevention. My ministry tries to educate members of the Christian community about Islam. I educate through workshops. I teach with such confidence that I do not mind having Muslim observers. I am trying to inform people and present a balanced understanding of Islam, not to dictate views. This is not preaching. Primarily, Anglicans attend my classes, but there is the occasional evangelical and Catholic. Some bishops are starting to see the value in my education programs, and they are asking me to run workshops in their dioceses as well. I am slowly expanding my programs, but this expansion is limited by human capacity and financial resources. What are the root causes of conflict in central Nigeria? If you go back to the history of Nigeria, we took off as a country of three religions, in this order: Muslims, traditional believers, and Christians. We gained independence in 1960. In 1958, just prior to independence, the British conducted a census known as the Willink commission report. It reported that north Nigeria’s population was comprised of 12 million Muslims, four million traditionalist, and 500,000 Christians. People always tend to overlook this reality. In the north sharia became an essential part of governance. Nigeria embraced civil sharia, but the British would not allow criminal sharia. What today we call the Middle Belt (Benue, Niger, Plateau, southern Kaduna, Bauchi, etc. ), at independence, the Christians who lived in the north lived here. Everything was under the control of Muslims, but as the Christian population grew, they began to express their desire for freedom and control from the Muslim emirs. Emir is the British equivalent of "Commander" or "Leader of the Faithful," a reference to the Muslims. Everyone in the domain of an emir was traditionally seen as a Muslim. The land and police were under his control. The Christians started to say that they wanted to be governed by their own leaders, and this sparked conflict. Nine out of every 10 crises in the Middle Belt are not religious. It is politics playing on religion. Meanwhile, in the southern part of the north there is a stigma about ethnicities that takes on a religious dimension. Even the crisis in Jos is about politics, economy, and land, about who controls the resources from the federal government and the state government. What are some of the major challenges that you confront when trying to promote peace and tolerance in Kaduna, and more generally speaking, throughout the Middle Belt? Ignorance is perhaps the greatest challenge I confront in my work. Constantly, I deal with it in my education programs. It is very difficult to educate the obstinate and ignorant. People need to first understand their own religion, that religion supports social responsibility and positive developments. In my own state, yes, people are religious. But do they practice their religious teachings? No. It is selective obedience. People know that their religions say love your neighbor, regardless of his religion. In Kaduna people selectively apply their religion. Funding is also a major issue. Most of my workshops are free. The British High Commission provides some funding, but it is difficult to raise support locally. I am also wary of external funding, because I fear that those who provide funding will try to dictate what I am teaching. How do you deal with Christian extremists? Three weeks ago my phone rang. The man on the line said “Josiah, Josiah, your life is in danger.” I know that this phone call came from a Christian. When we had the sharia riots in 2000 two Christians wanted to get rid of me, because they thought I was selling out to the Muslims. Fortunately, God intervened on my behalf. One mustn’t let fear control them. If in the process of supporting unity I am killed, well, I am willing to risk this outcome. 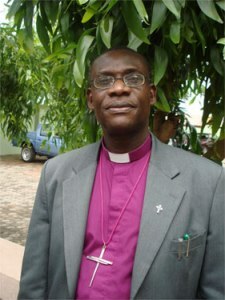 I have been denied positions in the Anglican Church because of my positions. During the 2000 religious crisis we held a meeting at St. Michael’s Cathedral in Kaduna to discuss the riots. There were fireworks to say the least. I was appalled at some of the comments coming from the Christian community. I said that I understood the fear, but that we have no mandate from Christ to take up arms. One member said that my views are Anglican theology, and that he did not accept these beliefs. He walked out with several others. I responded saying that we must pray for those who persecute us. Do you collaborate with other religions, other organizations to promote your message of tolerance? We are starting to see a lot of replication from other organizations and institutions. My colleague and I have begun lecturing on Christian-Muslim relations to high-ranking state officers. More recently the British High Commission backed a broad-based workshop in Kaduna for 380 people from Plateau state to build bridges of understanding. Where do you see this work leading in the future? We have two main bodies in Nigeria aimed at promoting dialogue. There is the Nigerian Interreligious Council, which hopefully will have opportunities to expand in the future. There is also the Christian Association of Nigeria (CAN) that has an interfaith branch. I hope that both of these institutions will more fully expand to the state and local levels. Furthermore, we need to continue promoting dialogue and tolerance within these institutions. So far we have only had one chance to get the leadership of CAN together for a workshop, themed “Know your Muslim Neighbor.” It was very well attended, and we had the sultan of Sokoto addressing the participants. The Muslim leadership replicated this program, hosting a conference called “Islam through the Eyes of a Christian.” They invited me to give a speech. Without increased understanding, Nigeria will not develop. What lessons have you learned from your work that might help guide others seeking to build peace in their respective communities? First and foremost is the lesson of patience. Old habits die hard. Unfortunately, many are very set in their ways. Second, it is hard work building bridges. You must be a perpetual student, always willing to learn. Third, there is a danger of importing external methods wholesale. We must learn to contextualize and to be pragmatic. We must be willing to adapt and wrestle with the issues at hand.